It might seem like an obvious statement, but it’s true: You aren’t getting very far in Lewisville, Denton, or Grapevine without your tires. At Sam Pack’s Five Star Ford Lewisville, our tire center is here to assist you. If you’re looking for tire repair nearby, our goal is to provide knowledgeable service and maintenance. 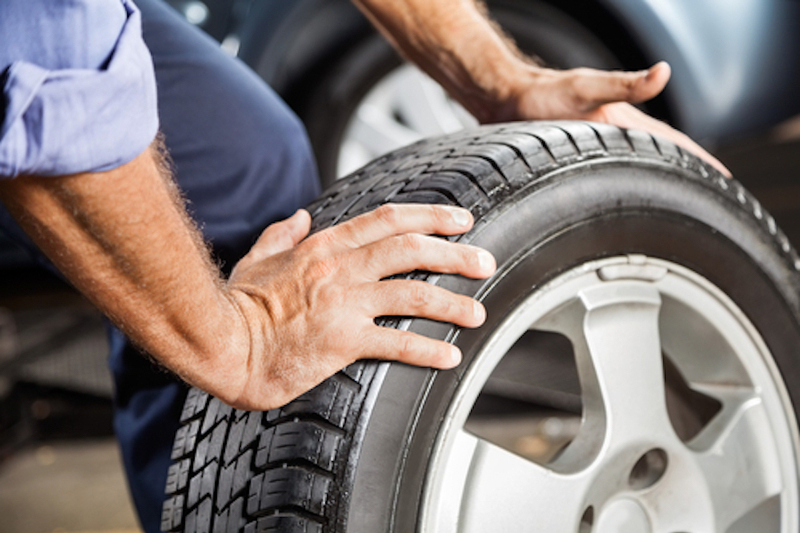 When it’s time to talk about tires, turn to our experienced technicians for guidance. If the tire pressure light has turned on in the dashboard area, the first thing to do is check pressure levels in all four of them. If adding air doesn’t seem to be doing anything, there may be damage or a puncture. If this is the case, it may be possible to repair it. Puncture repair involves plugging and patching of the tire. The tire will be removed from the wheel and inspected closely for any damage. If the puncture damage is determined to be irreversible, we’ll look into alternative options, which may involve buying a new tire. When it comes to what you can do on your own time, always make sure tires are inflated properly. And, keep an eye on the tread depth, as well. This will tell you how well your vehicle will be able to grip the road. Our technicians will be able to take care of any maintenance and repair here in our state-of-the-art service center. It’s possible your vehicle may need a tire rotation or alignment, so it continues to run smoothly. If you’ve noticed the car pulling to one side of the road, or if fuel economy has decreased, it may have something to do with the alignment. If new tires are needed, we carry the top brands in the industry. These are designed to be the right fit for your make and model. The road can be unpredictable at times. For flat tire repair, punctured tires, or patching services, visit the experts at Sam Pack’s Five Star Ford Lewisville. We’ll handle your repairs and return your vehicle to the roads of Lewisville, Denton, and Grapevine as soon as possible.